I am Lithuanian (EU citizen), on a single entry 3-month visa. I have crossed from Cambodia to Vietnam by land and hasn't been asked for proof of onward travel do I need one when coming into Vietnam from Malaysia by air? As best as I can make out, if you are entering on a Visa then you do NOT require a return/onward ticket - or at least, not officially. Visa exempt visitors not holding return/onward tickets could be refused entry. However, Lithuanian citizens DO require a visa to enter Vietnam, so this comment is not relevant. I can not find any comment anywhere else that a return/onward ticket is required. It is however important to remember that immigration staff can refuse entry to anyone, for any reason - even if you already hold a visa. 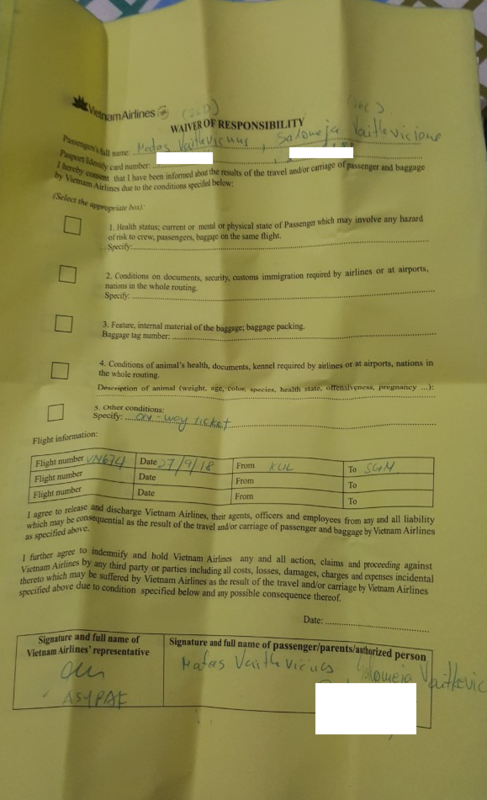 The fact that a return/oneward ticket is not explicitly stated does not mean that they can not refuse you entry for not having one, however I would only expect this to occur if they believed that you were intending to stay in Vietnam for longer than allowed or break the rules in some other way. In particular, if you could not show sufficient funds to support yourself AND to purchase a ticket to leave then country then your chances of being refused entry would be higher. Not the answer you're looking for? Browse other questions tagged air-travel vietnam malaysia proof-of-onward-travel or ask your own question. Crossing on land from Cambodia to Vietnam at Ha Tien, do I need proof of onward travel? Are bus tickets acceptable for Air Asia as a proof of onward travel?